As we hit the half way mark of the NFL season, its time to start giving out progress reports. Were going to give grades to teams based on their performance on offense, defense, and overall play. The Bears offense has been surprisingly effective under new coach Marc Tressman. Before tearing his groin muscle, Jay Cutler was having one of the better seasons of his career. Cutler has so far thrown 12 TD, 7 INT, and has thrown for over 1600 yards. Matt Forte has come back from an awful year last year and has been one of the most productive backs in the NFL. Brandon Marshall is on pace for another 1000 yard receiving year. In addition, Alshon Jeffrey has been having a break out year and Martellus Bennet has proven to be a very good signing for this team. Look for this team to keep up the solid production under an offensive minded coach. Mixtures of injuries and disappointing seasons have plagued the typically feared Chicago defense this year. They lost two of their top defensive lineman in Henry Melton and Nate Collins. Julius Peppers, DJ Anderson, and James Anderson have been non existent this year. The retirement of Brian Urlacher has clearly hurt this team on and of the field. LB Lance Briggs and CB Charles Tillman have been bright spots, but the rest of this team (particularly the safeties) has looked atrocious. While the offense has looked impressive, the defense has looked the exact opposite. Poor play and disappointing special teams have plagued this team this year. Look for the Monsters of the Midway to disappear in the second half of the season. With Tip-Off fast approaching here’s an in-depth look at the league, Team by Team. One of the most storied franchises in any sport, the Boston Celtics took a big step back when they traded future hall of famers Paul Pierce and Kevin Garnett to the Brooklyn Nets. In return, the Celtics received a package of expiring contracts and three first round picks in 2014,2016, and 2018. The trade was met with criticism for the Celtics’ lack of loyalty, but analysts have commended both teams on working out a fair deal. Going forward, Boston may be facing a subpar year ahead of them. The Celtics opening day starting five will consist of SG turned PG Avery Bradley, SG Courtney Lee, SF Jeff Green, PF Brandon Bass, and C Kris Humphries. Bradley (who is playing for injured PG Rajon Rondo) is terrific defender, but is still lacking a bit on the offense side. Lee is a good shooter, particularly from three, but doesn’t contribute much else. Green is a solid 15 PPG and 5RPG guy who will also give you solid play on defense, particularly in the middle. Bass and Humphries are both Power Forwards who are lacking defensive prowess. Humphries has been a disappointing player ever since his short-lived marriage with fame whore Kim Kardashian. The Celtics surprisingly have a nice mix of veteran leadership and young potential on their bench. Gerald Wallace and Keith Bogans (both came over from the trade) have good leadership qualities in them. In particular, Wallace recently called out his teammates for playing with a lack of heart. While upper management was not a fan of this, the decision voice his displeasure could end up paying dividends for Boston. As far as the young guys, PF Jarred Sullinger and SG Jordan Crawford and Marshon Brooks have shown flashes in the true NBA talent on both sides of the floor in their young careers. In addition, the Celtics 1st round draft pick, Kelly Olynyk, can provide some much needed size on the floor for the Celtics. The addition of Brad Stevens was both shocking and smart for Boston, but there’s only so much he can do with a roster that just lacks talent. 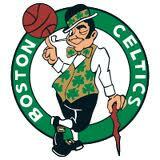 The future of this team is looking bright, but this season may be a little darker than Celtics fans are used to. 10- Marvin Jones- Last week says it all. 4 TDs and 122 yards. He won’t ever repeat those numbers, but he clearly is on Dalton’s good side and has his trust. 9-Keenan Allen- Yes. He is shockingly available in about 30% of leagues he is River’s go to guy and don’t expect that to change. He can find the endzone against a weak Washington secondary. 8- Antonio Brown- NE has a great defense but injuries have been preventing them from being perfect. Expect Brown to do some damage this week. 7-Brandon Marshall- Yes he should be higher, but until I see him explode with McCown I am staying hesitant. 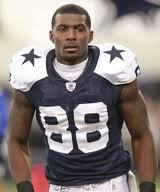 He is the 4th most talented WR in the league in my opinion, but without a QB he gets knocked back this week. 6-Roddy White- If he is healthy Matt Ryan FINALLY has someone to throw to that’s experienced. Expect heightened targets. 5-Desean Jackson- Even with a backup QB he has been putting up beastly numbers. Expect that to continue. 4- Pierre Garcon- Going to need to get him the ball to make it close. I think Shanahan knows that better than I do. 3-AJ Green- Andy Dalton is on his game now. After his dismantling of the Jets, expect him to continue his dominance. This is great news for his receivers, specifically his top target. 2-Jordy Nelson- He has been lights out since Cobb left. No question he is a top option in any format now. 1-Dez Bryant- Even though he showed his immaturity last week, expect him to back it up after a 2TD tough break loss against DET. 10 – Arian Foster – Because of his injury status he is only #10 on our list. If he is healthy he can be a wrecking ball against Luck and the Colts. 9 -Chris Johnson- Going against the worst defense against the run in the league, you can expect them to utilize him more than usual. 8 -Eddie Lacy – CHI has a good pass defense but not a good run defense. Expect Rodgers to us Lacy to play with the tempo of this game a lot to keep the play action hot and the Bears defense on their toes. 7-Demarco Murray- If he comes back healthy he is going against a friendly run defense. Could’ve played this week but they held him out. They were checking passes to the RB when he was there. You can expect that to come back to the offense with him bulldozing again ASAP. 6- Ray Rice – For them to succeed they need to run the offense around the talented back and finally realize that. Expect a nice week from the Ray Rice of old this week. 5-Matt Forte – New QB means extended check downs so look for Forte fill up the box score. 4- Marshawn Lynch- He is talented. You can see what he has been doing the past three weeks. Don’t expect him to stop. TB can stop the pass, but not the run. 3- Lesean McCoy – Shady is going against an OAK team who isn’t the best against the run. As it is, he is a talented back and may be with Matt Barkley who he worked well in the second half of last week’s game. He is also one of the most talented backs out there now. 2- Adrian Peterson – Going against Dallas they have no choice but to run the ball and make him a focal part of the offense. They have been losing because they aren’t utilizing him as much as they should. Expect a wakeup call from the talented back this week. 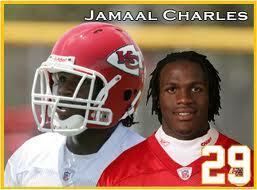 1- Jamaal Charles – Coming off a quiet week but still 8-0. He had a quiet week but still had over 100 all purpose yards. When that is a quiet week for you it means you are doing something right. As we hit the half way mark of the NFL season, it’s time to start giving out progress reports. We’re going to give grades to teams based on their performance on offense, defense, and overall play. Once again a new coach has reformed the offense (and quarterback play) of a previously struggling team. Phillip Rivers has turned back the clock this year throwing for over 1,500 YDS with 15 TDs to only 5INTS. Ryan Matthews is finally starting to show the potential that so many people thought he had. Danny Woodhead has proved to be a fantastic signing producing in the passing and run game. Eddie Royal started off hot and Keenan Allen picked up where he left off. The offensive line has been providing Rivers time to throw the ball. Lastly, Antonio Gates has been rejuvenated and is having a comeback player of the year worthy effort. Mike McCoy has done an absolutely stunning job worthy of praise. The reason San Diego will likely not make the playoffs. The Chargers lack any sort of pass rush. They have a bunch of no name DB’s providing zero pressure against less than stellar offensive lines such as the Texans and Eagles. Dwight Freeney looked impressive until his injury, but that’s been about it. Top receivers have had field days against a putrid secondary and that doesn’t seem to be ending when they play Denver twice. Mike McCoy has turned this offense from middling embarrassment, into a minor powerhouse. However, San Diego will not prosper with this defense. They give QBs all the time they want to make a play and have no ability to stop big play threats. It is a shame because McCoy would otherwise be getting serious consideration for coach of the year. 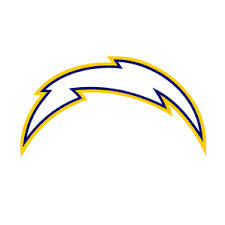 Expect the Chargers to stay about even the rest of the year and finish the year at 8-8. Should the NHL Banish Goons? The hit, as you can see, was blatant, late, cheap, and to the head. Scott was subsequently suspended indefinitely, until Judge Brendan Shanahan, and the jury of Player Safety can decide on an appropriate punishment for Scott. The verdict is in, the charge (pun aside) has been made, and it’s only a matter of time until he gets his suspension. One can only speculate where it will stand within the standards of the rest of the league. I can make an educated guess, based off of John Scott’s player profile, that the suspension won’t be as “lenient” as, say, the Islanders’ Michael Grabner’s hit on Carolina’s Nathan Gerbe, which was 2 games. Grabner is a speedy, gifted scorer, who has 77 goals and 124 points, and only 44 penalty minutes in 229 career games with the Islanders and Vancouver Canucks. John Scott, on the other hand, has played 187 games with Minnesota, Chicago, the New York Rangers, and the Buffalo Sabres. He has accumulated a grand total of 5 points (1 goal in 2009-10), and 324 penalty minutes. Even more so, Grabner averages 15 minutes of ice time per game, Scott only 7 minutes. John Scott is only the latest addition to a group of so-called hockey players categorized as “goons”. Such a group includes guys like Cam Janssen (312 games, 11 points, 752 penalty minutes, average ice time of 4:47), Eric Boulton (617 games, 74 points, 1311 penalty minutes, average ice time of 7:06), and Derek Boogaard (277 games, 16 points, 589 penalty minutes, average ice time of 5:06). These guys all have a number of things in common: Few points, few minutes on the ice, penalty minutes galore. These guys have very basic roles on the team: If a guy on the other team goes after anyone on their team, take them out. Simply put, these guys are mercenaries on skates, and they only cause havoc when put on the ice. Whether it’s a big hit or dropping the gloves, no matter the method, they try and inflict damage on another player, in some sort of negative reinforcement gone wrong. That’s not to say the guy with the most penalty minutes is a goon. This season’s current penalty minutes leader is New York Ranger Derek Dorsett, who plays regularly as a fourth line energy player, and does drop the gloves from time to time, but doesn’t have a history of broken bodies in his wake. Another classic example is Ottawa’s Chris Neil, who has 213 career points, and is an essential part of his team’s offense, while also being on the protection squad. Protecting a player is not to be looked down upon. Having those bigger guys who don’t mind dropping the gloves every now and again, can take the body, and also contribute offensively are rare commodities in the league, and sought at by everyone (look at the pay day David Clarkson got from the Maple Leafs). But the way that the goons do it, where their sole role in the game is to become a wrecking ball with skates and sticks, should not be condoned. They don’t bring any hockey skills to the game, besides toughness and balance (they gotta stand on skates after all). Heck, Donald Brashear, one of the most notorious goons in NHL history, took to MMA for a short period of time, and TKO’d some guy named Mathieu Bergeron at the 0:21 mark of the first round. Goons don’t have much of a place in hockey. If they want to hone their skills of face-punching and body checking, they can try MMA or roller derby. But they are one of the biggest threats to player safety, especially like last week’s incident where John Scott took out an innocent skill player. Scott’s suspension will be a hefty one. He’s a goon, and isn’t looked upon nicely by any analysts or experts. After that, who knows if he’ll ever see NHL ice time again. After this incident, for the real players’ sake, I hope that’s the case. 10 – Alex Smith – It isn’t all the running game when you have a QB that has 5 losses in the past 3 seasons, he definitely has talent. Might not be the best fantasy QB but he’s not a bad option. 9 – Andrew Luck. – He is going against a relatively strong DEF that are coming off a bye week, but Luck was on a bye week too. If Luck can make the adjustments he needs to without Wayne in the system, he can have fun against a Texans DEF who will be on the field a lot without a good offense. 8- RGIII. – Barring his health status which seems minor he is looking for a bounce back game. He probably has a good fantasy day against SD but won’t get the win. 7- Russell Wilson – Yeah so he is going against the no fly zone, but he will have plenty of time to run the ball with TB barely able to hold onto the ball. With Lynch in the backfield that’s the biggest distraction you need once Percy Harvin is back. 6- Andy Dalton. – Coming off the week he just had and proving to the world he has more weapons than just AJ Green, he is one of the most underrated players in the league going against a Miami defense who is hit or miss. 5- Phillip Rivers – Washington has been torched week after week giving up 32+ points a week. Enough said, but once you add River’s talent and the fact that he’s coming off a bye week, look for his chemistry to be perfect among his WR and some good numbers. 4- Aaron Rodgers – Going against a incredibly disappointing CHI defense, and without Cutler, Rodgers will have plenty of time with the ball. 3- Cam Newton – Watch him run for some yardage and throw long going against a weak ATL defense. 2- Tony Romo – Going against a team that gives up 300+ passing yards a week will be a good way to get the Cowboys on the same page. Getting Murray back next week and going into a must win, Romo will flourish. “Dez Bryant isn’t a “ME” person at all.” He has his team’s back at all times. 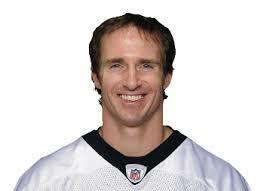 1 – Drew Brees – Going against a team that allowed 49 points and 325 passing yards last week with 5 passing TDs. Expect good things from this Saint.